Durian's flavor and creamy texture has made it popular throughout Southeast Asia, but its strong odor has gained it many detractors. (CNN) - A cargo of durian caused an Indonesian plane to be temporarily grounded after passengers complained about the fruit's room-clearing stench in the cabin. 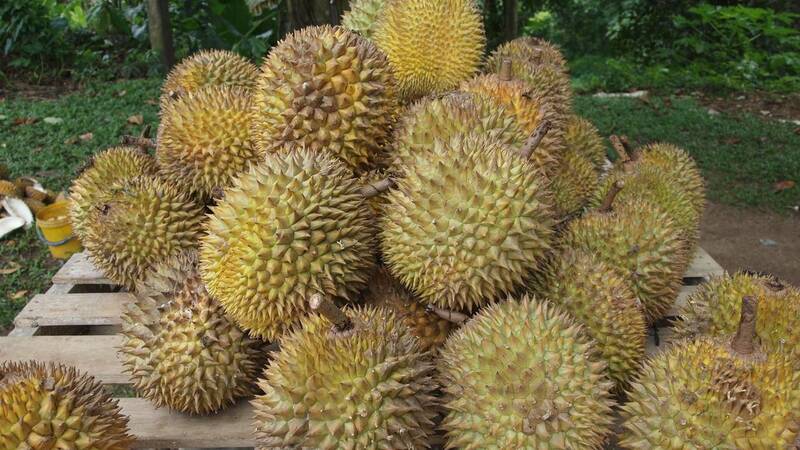 The spiky fruit's flavor and creamy texture has made it popular throughout Southeast Asia, but its strong odor has gained it many detractors. Singapore has banned the fruit in its subway system, and many hotels ban durians because of the notorious smell -- which some critics have likened to rotten food or dirty socks. "Durian is not classified as a hazardous material to be transported on a plane," Sriwijaya Air official Abdul Rahim told national television station Kompas TV late Tuesday, AFP reports. He added that they placed coffee powder and pandan leaves -- sweet-smelling leaves that are widely used to flavor desserts in Southeast Asia -- on the plane "to absorb the durian smell."